This October, the landmark 6th season of Style Fashion Week is breaking new ground with official endorsement by the city of Los Angeles, an incredible new venue at L.A. LIVE’s Event Deck, and a line-up of internationally acclaimed designers. Now tripled in size, the influential Style Fashion Week has received the Seal of Los Angeles and been deemed the official “LA Fashion Week” supported by City of Los Angeles Councilman Curren D. Price, Jr. The ever-growing and innovative week of events has earned Style Fashion Week a respected position of influence in the fashion community. Their week of shows continues to be the highlight of LA Fashion Week and garners international attention and praise. The 6th season of fashion events will be held October 13th-17th on the renowned L.A. LIVE Event deck. This season, the 5-day, high-energy event will feature two full runways showcasing the most inspired collections from around the globe. An expansive brand marketplace will immerse guests in art, fashion, and design and allow them to directly engage with brands and designers throughout the week. Each year, Style Fashion Week presents the season’s must-see shows, unforgettable performances, and exclusive installations. guests with seating for 500.
seating for 150 guests and an additional 100 standing. CLICK HERE GET THE LATEST PICTURES OF THE SHOWS OR CLICK HERE FOR PURCHASE REQUEST! March 4th, 2013 (LOS ANGELES)- This March,Style Fashion Week LA is back for their highly anticipated, 5th season of fashion events and designer showcases. Since inception, Style Fashion Week LA has become widely respected and influential in the Los Angeles fashion scene. The upcoming fashion week will be held at the landmark Cathedral, Vibiana, in downtown Los Angeles. This exquisite cathedral provides an elegant backdrop for the year’s most stunning runway shows. This season will feature the coveted collections of both international and national designers as well as showcase the freshest looks from talented emerging artists. The 5-day event, March 11th-15th, will include musical entertainment, live performances, and lifestyle exhibits. Guests will enjoy signature cocktails and designer showcases throughout the week in the spacious VIP courtyard lounge. Fashion week hits the runway in style on Monday, March 11th, with opening collections by talented Latin-American designers. Mexican designer, Gregorio Sanchez, will debut his new brand, the GREGORIO SANCHEZ COLLECTION. With over fifteen years of experience, Gregorio Sanchez, is known for his impeccable style and eye-catching, fashion-forward ensembles. His chic creations set the standard for design and craftsmanship and have amassed a devoted following across countries. Ina Soltani’s F/W 2013 collection will highlight the signature details that have defined the designer’s confident style from the beginning. Extraordinary leather accents dominate this sophisticated new collection. Her designs are strongly inspired by the dramatic narratives of artisan traditions and express deep appreciation for arts and culture. Ina Soltani’s glamorous pieces have been worn by Hollywood A-listers like Eva Longoria, Kim Kardashian, and Jennifer Lopez. Returning designer Paulie Gibson will showcase his Fall 2013 collection ‘Blueprint’ Tuesday evening. Since 2009, Paulie Gibson designs have graced the glossies, run­ways, and award ceremonies of the fashion elite. This expertly trained designer creates pieces that reflect opposing forces and concepts. ‘Blueprint’ will be his largest, most impressive collection to date, promising to be both cutting-edge and unexpected. 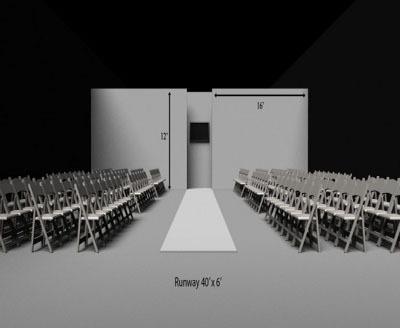 Several additional designers will round out Tuesday’s night of events, showcasing their latest collections on the runway. Wednesday, March 13th- Style Fashion Week presents their first ever runway shows featuring lines specially designed for kids and young adults. Hollywood Doll, the breakout line by Pussycat Doll singer, Kaya Jones, will make its runway debut at 6:30 P.M. Hollywood Doll is the collaboration of Jones and Heatherette co-founder, Traver Rains. The whimsical style is designed to inspire young girls to express their individuality and encourage self-confidence. Guests of the show will be treated to a special performance by Kaya Jones herself, singing a song off her new album. Following Hollywood Doll is New York based children’s label, es + es. This luxury fashion brand is bringing style to young fashionistas, sizes 4-10. Made in the USA, es + es products use the highest quality materials and sustainable textiles. es + es provides the high-end style that keeps their clients coming back for more. Style Fashion Week LA is thrilled to announce the returning shows of designers, Quynh Paris and Ash Haute Couture on Wednesday evening. International designer, Nguyễn Quỳnh Nhu, creator of Quynh Paris, will take over the runway at 7:30 P.M. The vibrant pieces of Quynh Paris exude a playful energy while experimenting with the structure of classic design. Elaborate embellishments evoke a sense of grandeur in her collections.The shows this evening will also feature Mumbai based, Ash Haute Couture’s luxury line of women’s wear. Impeccable workmanship and intricate hand embroidery enliven the feminine silhouettes of the collection. Combining western style with eastern influences, Ash Haute Couture has created a timeless style of class and elegance. Designer Pia Gladys Perey joins Style Fashion Week this season with a collection expressing a sense of mature femininity. The ultimate sophistication lies in her design’s subtle sexiness and elegant simplicity. Her designs are able to draw the eye and compliment a woman’s curves without appearing revealing or risqué. She has designed jumpsuits whose playful drape and color are exciting and flirty while still maintaining an element of class and poise. Thursday, March 14th welcomes the 6:30 P.M. combined show by Linden, Bishme Cromartie, and Madisonpark Collective. Locally designed and manufactured womenswear label, Linden, looks forward to the upcoming fall 2013 shows with the ‘Wind-Up Bird Collection’, inspired by the Haruki Marukami novel “The Wind-Up Bird Chronicle”.The capsule collection references the complicated story of the book, but, as always, maintains wearability with flattering silhouettes and a mixture of hard and soft textures. Guests can look forward to separates, dresses, and outwear with unique combinations of materials ranging from gauzy cottons to structured leather. Hailing from Baltimore, Bishme Cromartie is known for his uninhibited and playful design choices. His garments experiment with futuristic forms, bold colors, unusual fabrics and unexpected drape. Cromartie’s new line will be a show that is sure not only to entertain, but undoubtedly inspire. Fashion Week’s finale on Friday, March 15th,will be presented by LA’spremier showroom, StylePR. The grand finale collective show will feature the stunning designers, ROXANNE NIKKI, Bryan Hearns, and Michael Cinco. Canadian designer, Roxanne Nikki will open the show with a new collection from her namesake brand, ROXANNE NIKKI. ROXANNE NIKKI has been featured in blockbuster films and is popular among high-profile celebrities and musicians. Her menswear has been worn by music icons like R.E.M front man, Michael Stipe, and her womenswear has been seen on mega-stars like Carmen Electra, Christina Milian, and Nicki Minaj. ROXANNE NIKKI is based out of Vancouver, where the label continues to evolve, pushing the envelope of innovation. 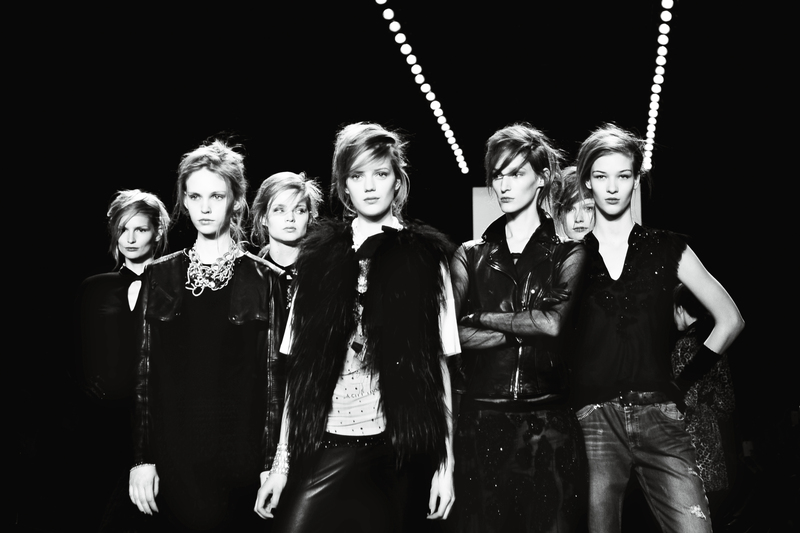 Next, the grit of the street and glamour of the runway come together in the trained hands of designer, Bryan Hearns. By pairing opposite forms and textures, California native, Bryan Hearns, is able to soften his dramatic lines and create ensembles that are thematically layered. His pieces appear inspired by everything from military authoritarianism to spring picnic preppiness. His style exudes a sexiness in its unexpected and uninhibited design choices. Monday-Friday CAILYN Cosmetics will showcase their innovative skincare products in a special booth in the courtyard lounge. As a trendsetter in the cosmetics industry, CAILYN delivers the highest quality products throughout the US and internationally. CAILYN is praised for their state-of-the-art technology and years of experience producing all natural products for high-end spas and salons. Official hotel sponsor, Luxe City Center Hotel, is the premier boutique hotel in downtown Los Angeles. The hotel’s first-class amenities and exceptional service make this the perfect stay for business and leisure travelers alike. The elegant atmosphere of Luxe City Center Hotel offers a sophisticated experience, and with landmarks and attractions nearby, guests are never far from entertainment. The Official Afterparties for Style Fashion Week will be held Monday through Thursday, March 11th – 14th at SPiN Standard Lounge in downtown Los Angeles. SPiN is the Ping-Pong social club guests flock to for incredible atmosphere and unique themed ping-pong events. Glow-in-the-Dark Ping-Pong Tuesdays is just one of the funky fun original parties SPiN has to offer. This trendsetting lounge is the place to go for a one-of-a-kind experience, over-the-top entertainment and an exclusive crowd. We are excited to team up with SPiN this season to celebrate. Style Fashion Week LA. enjoys increasing success and growth thanks to the continual support of their wonderful sponsors. This season a special thanks goes to SmartScarf, Monster Energy, Naked Juice, Apparel News, Sticky Candy, Urth Caffe, and Crossroads Trading Company. Style Fashion Week puts top L.A. fashion designers on the runway Style Fashion Week arrives this October with runway shows at the elegant Vibiana and exclusive parties for attendees, buyers and designers. Los Angeles , September 26, 2011 — On the heels of its spring success, Style Fashion Week launches its 2nd season this October during Market Week in downtown L.A.
Hosting a week of collections, complete with runway-worthy designers and exclusive after-parties, SFW will once again set the bar for L.A. runway shows. The event launches Sunday, October 16th with a VIP Media Reception, setting a luxurious tone for the entire week. 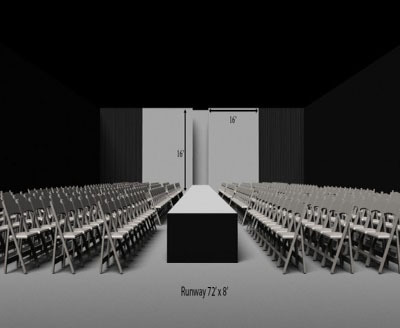 Six days of runway shows follow October 17th-22nd, featuring celebrity guests and fashion industry leaders. Style Fashion Week will return to VIBIANA in downtown Los Angeles, as the former cathedral continues to offer an inspiring, timeless atmosphere. Preceded by 130 years of history, VIBIANA combines all of the drama and grandeur worthy of Fashion Week. Monday, October 17th through Friday, October 21st will feature nationally-acclaimed designers such as Gypsy 05, Stop Staring!, Alternative Apparel, Fashion Biz Inc., Gen Art to name a few. A leading lifestyle brand, Alternative Apparel brings its spring collection to Fashion Week on October 18th. Its spring line, “Oasis of Color, will feature rich textures, sun-bleached desert washes, bold prints and a vibrant color palette.” Expect to see “asymmetrical maxi-dresses and high-waisted mini-skirts in colorful prints, as well as a selection of must-have novelty pieces for women, including sheer, mesh tanks, cut-out sweatshirts and beaded Baja Cloth ponchos.” Alternative Apparel also produces a men’s line that will offer “breezy Baja Woven’s in hoodies, shorts, and button-downs” for spring.With so much buzz about shopping local, Style Fashion Week welcomes the return of local designers, Gypsy 05 and Stop Staring. On October 18th, Stop Staring!